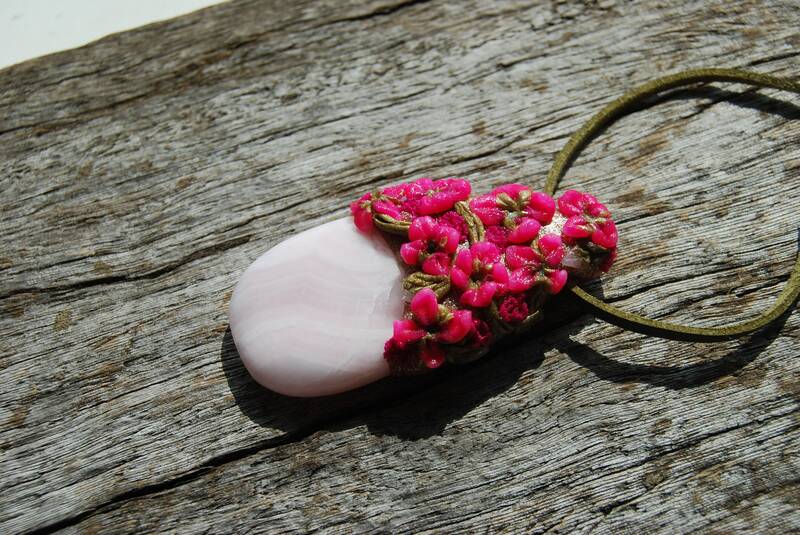 This is a lovely banded Mangano Calcite in an unique handsculpted durable clay setting that I made myself. 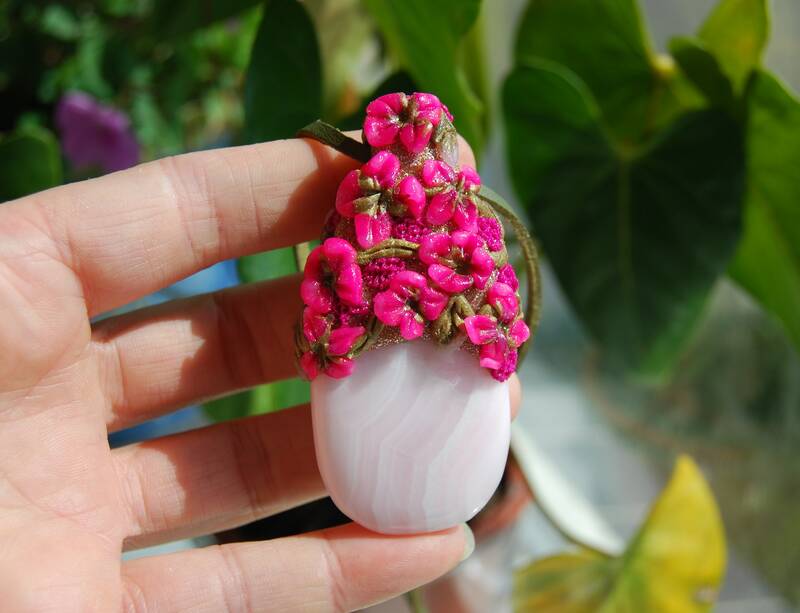 Pink Mangano Calcite, which is also known as Manganoan Calcite or Mangano Calcite, is a kind of Calcite that has an attractive pink color. It’s a calcium carbonate, and it has a unique light pink color with white inclusions. 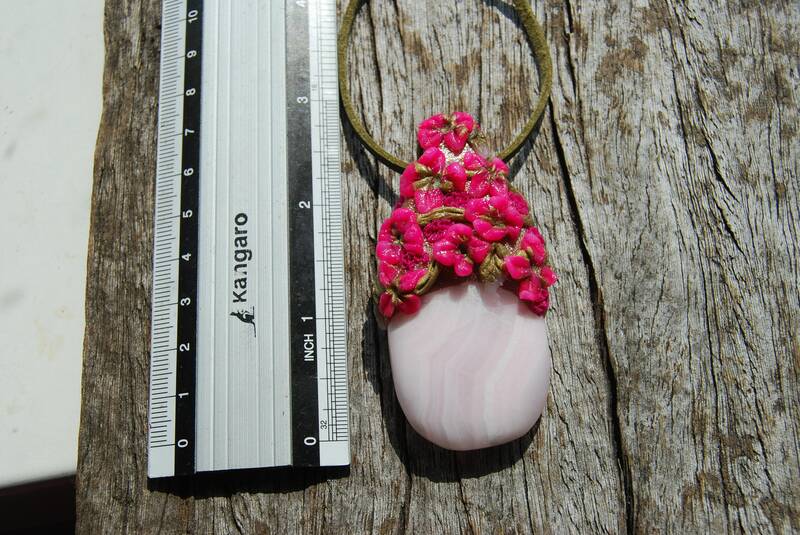 The pink in the stone is due to its manganese content. Mangano calcite is a heart crystal. It is also associated with angels. It is a soft stone of forgiveness that brings unconditional love. 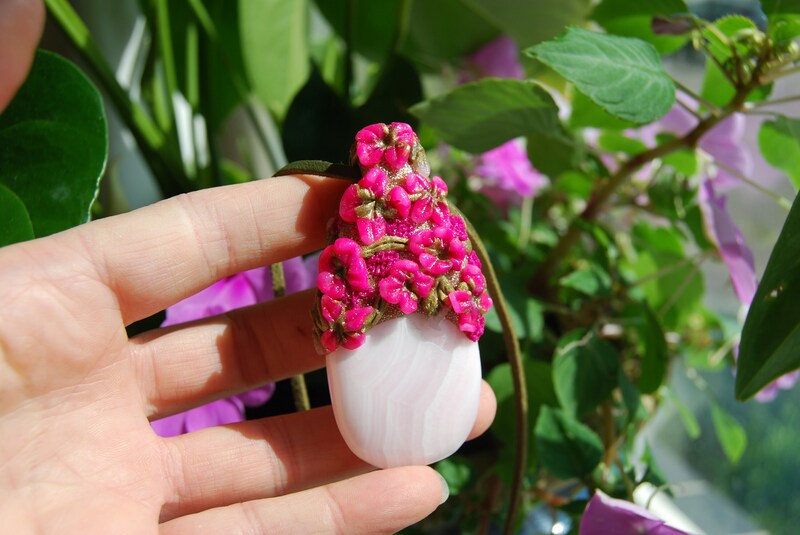 It is a stone of peace and well-being. 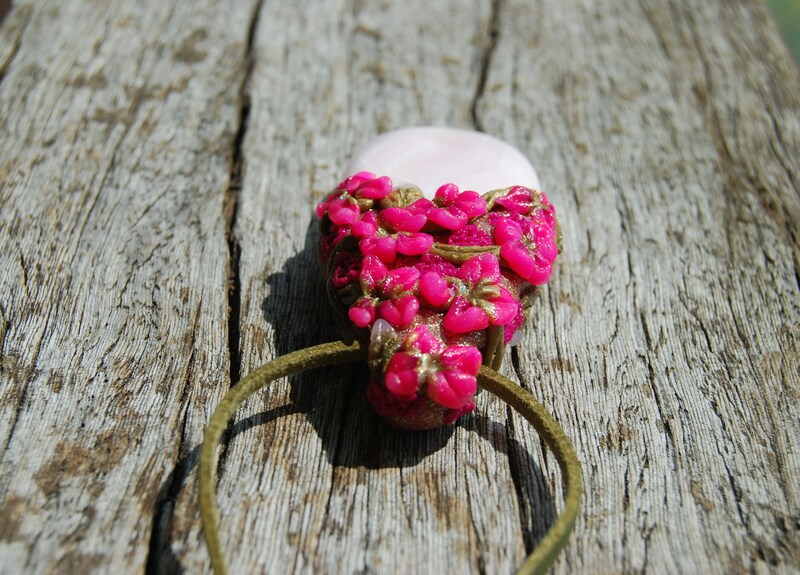 By enhancing the flow of energy from the Crown Chakra down into the Heart and Higher-Heart Chakras, Pink Calcite can attract new opportunities to learn the concept Universal Love. 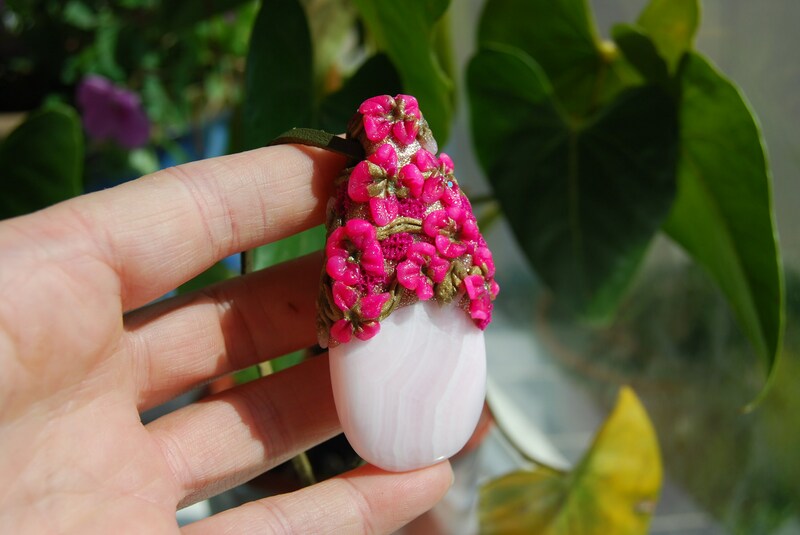 Pink Calcite can help healers and counselors forge a strong, energetic bond with a patient, allowing the healing vibrations to travel to the right location on the client. 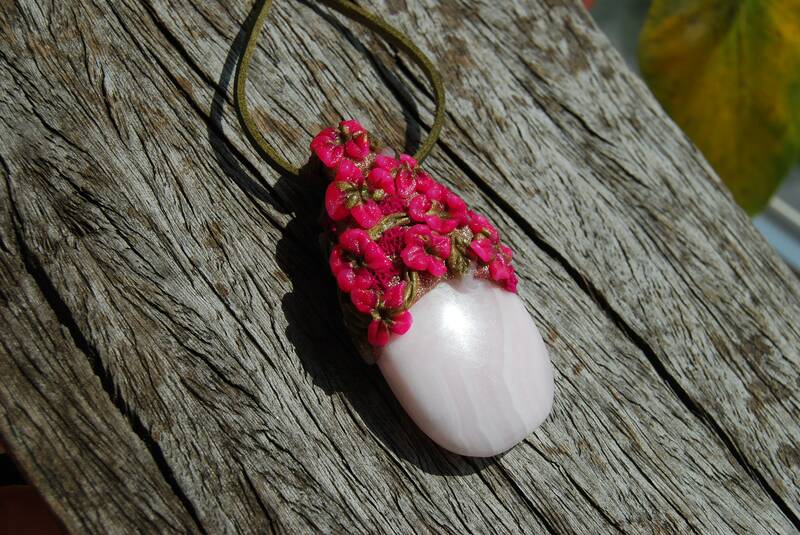 Pink Calcite can be calming when held in the hand during meditation or energy work. 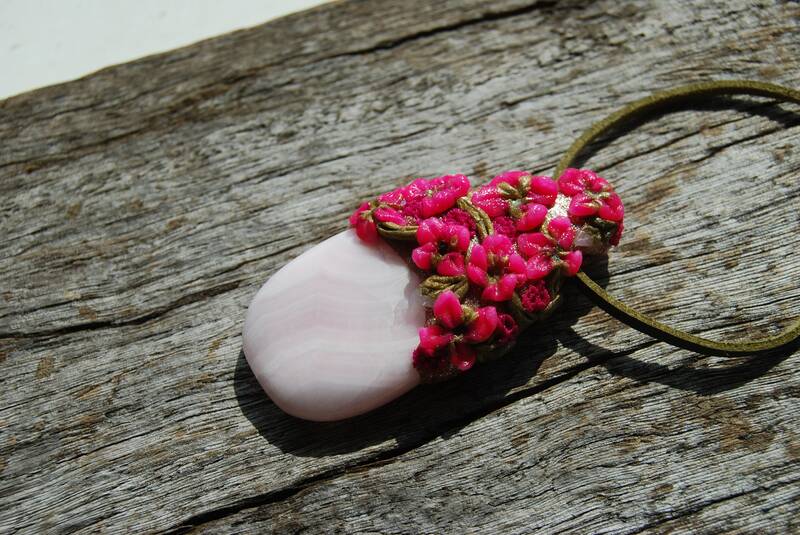 It is made with a mix of epoxy clay and polymer clay which makes the pendant very strong and durable. However I recommend taking it off while showering, swimming etc. to extend the life time of the colors. It comes on an adjustable faux leather cord. Measures approx. 6.8 cm / 2.7 inches from top to bottom.